CCMI seeks to hire innovative, creative, early career scientists who can make great discoveries. Please check back regarding additional positions available in the future. Ensure that all diving activities are in line with PADI, AAUS and CCMI standards. Captain CCMI vessels for both research & education department programme activities. Conduct any and all dive training. Conduct onsite maintenance including: dive equipment, boat engine, vehicles and physical plant. Assist with education, operations and research programmes as required. Ensure that all diving activities occur in accordance with PADI, AAUS and CCMI regulations. Ensure that all visiting education and research groups have received, correctly completed and submitted all necessary diving paperwork. Complete all dive training required by both guests and staff. Conduct dive orientation briefings and gear distribution for new education and visiting research groups. – A 34-foot custom (hull) purpose-built dive boat with a capacity for 16 divers with 32 tanks, or 18 snorkelers. – A 12-foot Carolina skiff with a capacity for 2 divers with 4 tanks, or 4 snorkelers. – A 21-foot Mako dive boat has a capacity of 4 divers with 8 tanks, or 6 snorkelers. Assist in the delivery of the CCMI annual maintenance plan, which includes grounds, facility, dive equipment as well as boats and vehicles. Management of dive facilities and equipment including maintenance, cleaning, inventory and resupply. Compose and contribute to regular progress reports. Assist with training staff on boat handling and boat captain duties. Lead in-water activities including snorkels and dives. Represent CCMI in a professional manner when working alongside visiting education groups, visiting research groups and when interacting with the local community including the local dive operations. Full position description available HERE. Applications, consisting of covering letter explaining why you feel you should be considered for this post, along with a full CV and contact details for two referees (who will not be contacted without your consent) should be sent to manager@reefresearch.org. 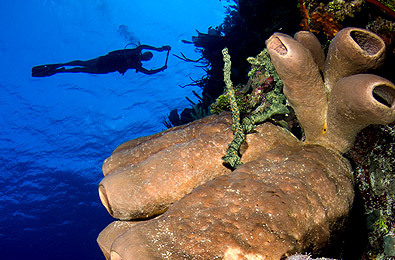 Please mark your application Marine Operations Coordinator, Little Cayman. The closing date for applications is 14th March 2019. Interviews: Interviews will be conducted via Skype between the 16th – 21st March 2019.